As I have stated before, Ruthenium is a rare material. Every year, this element is only produced around 20 tons. 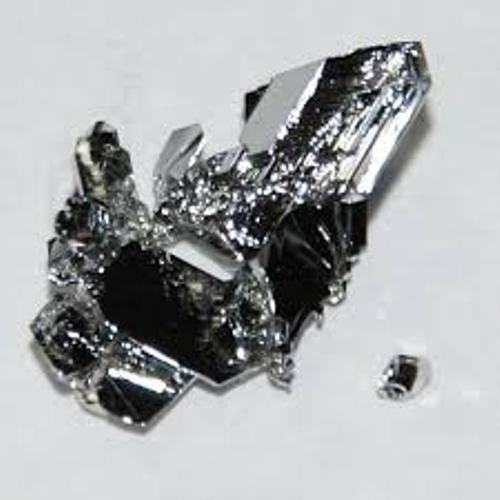 Ruthenium is often used to make the coating of wear resistance. It can be used in a corrosion resistance property if it is mixed with titanium. 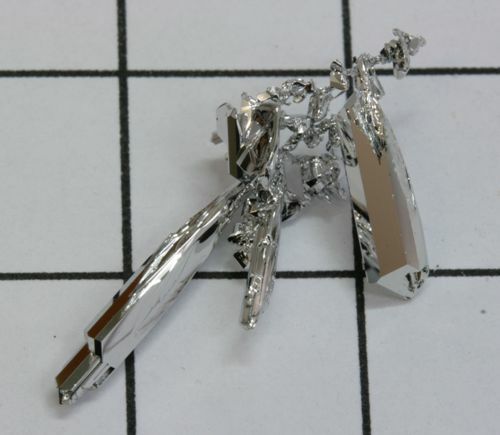 Sometimes, Ruthenium is also used in platinum alloys. Ruthenium is also functional for the industry. It can be used to produce the superconductor. It can be alloyed with molybdenum to create a superconductor below 10 degree K.
Ruthenium has seven natural and stable isotopes. The most stable ruthenium has the half day life of 373 days. Most of them are less than five minutes. Under the normal temperature, this transition metal will never tarnish. 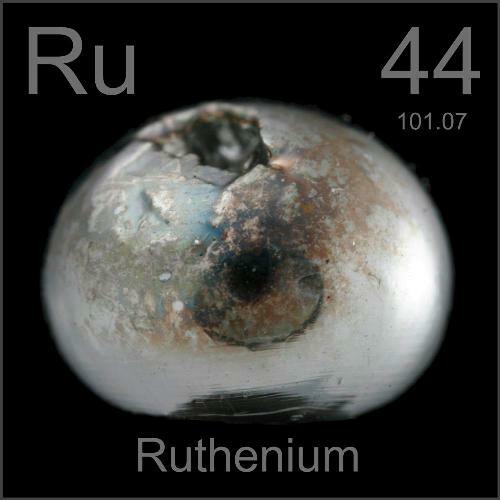 You can find 34 radioisotopes of ruthenium. Ruthenium can be produced from uranium-235. It is the nuclear waste. This element can be extracted from mineral pentlandite and ores of other platinum group metals. It can be produced from the mining of nickel and copper. You can get ruthenium from the platinum ores. The amount of ruthenium which can be mined from the ores depends on the mining location. Find out radon facts here. During the production of platinum and palladium alloys, ruthenium will be used to harden them. Therefore, the palladium and platinum alloys can be used to make the water resistance electrical contacts. 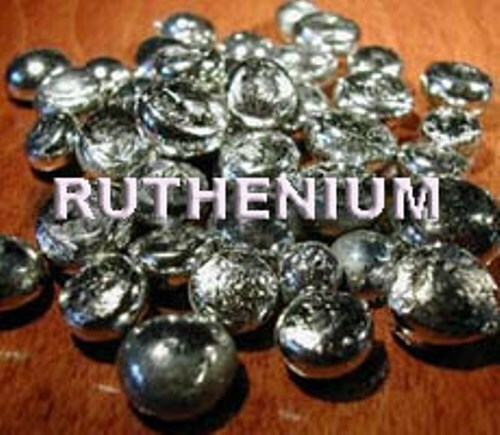 Even though ruthenium is rare, it is cheaper compared to rhodium. It can be a good alternative for the electric contacts. Get facts about Rhodium here. Ruthenium has unique properties if you compare it with other elements. The interesting properties that you can have include the high temperature ferromagnetism, exotic superconductivity and quantum critical point. Ruthenium is also useful for solar energy conversion for it can absorb the light. 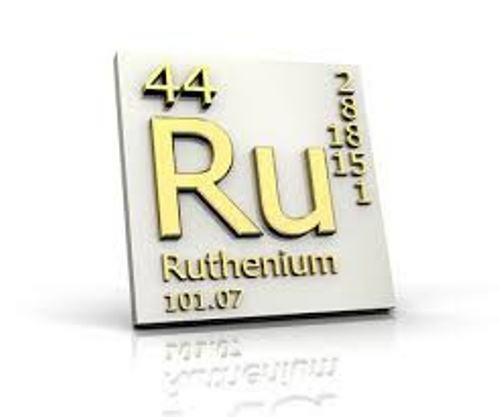 Do you like reading facts about ruthenium?